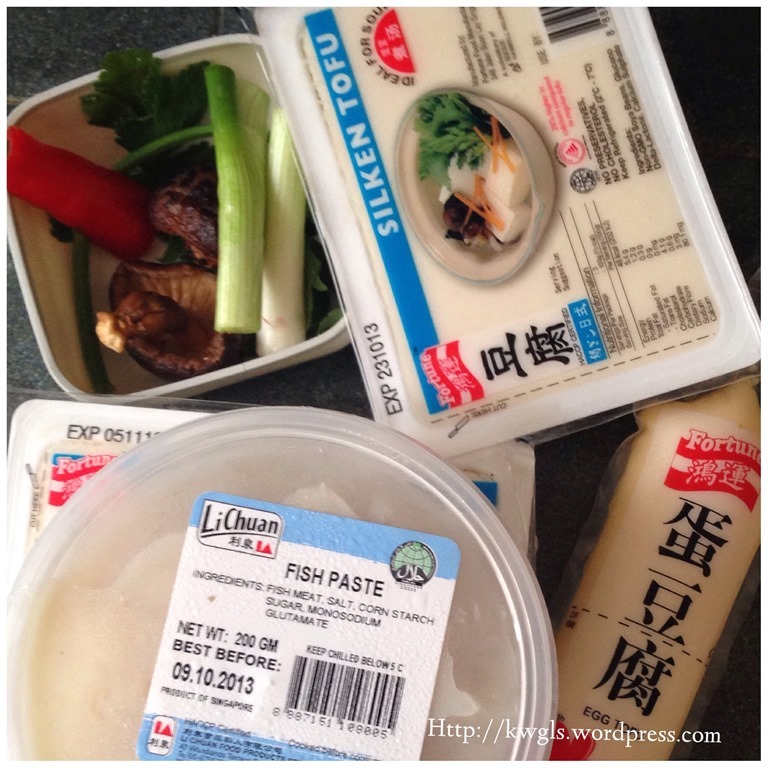 Fish Paste + Bean Curd = Presentable Seafood Tofu Dishes! Tofu or bean curd is one of the most nutritious food in Asian cuisines. Not only nutritious, it is healthy.. It is made from soya beans and there are tons of soya bean based products in Asian cuisines. 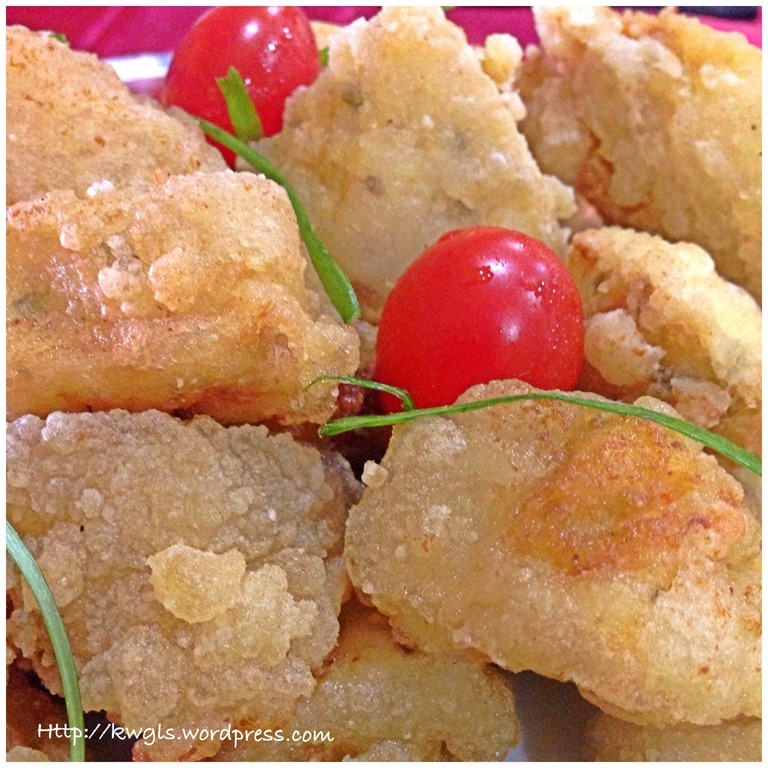 I am sharing this simple recipe which I hope readers will like…. Put all the fish meat into a food processor, add some corn flour (about 200 grams of fish meat with 1 tablespoon of corn flour), some black or white pepper, some salt and other seasonings of your choice. Blend until fine, scoop out and keep it in the fridge. Lightly grease a 6” or 8” baking tin or dish with some cooking oil. Set aside for later use. Put all the coriander leaves and/or spring onions and/or Chinese celery, red chilli, mushroom into the food processor, and slightly blend it a few time. Add in 2 tablespoons of corn flours, fish paste, egg tofu, normal tofu, seasonings of your choice (light soya sauce, white pepper, sugar, salt etc.) 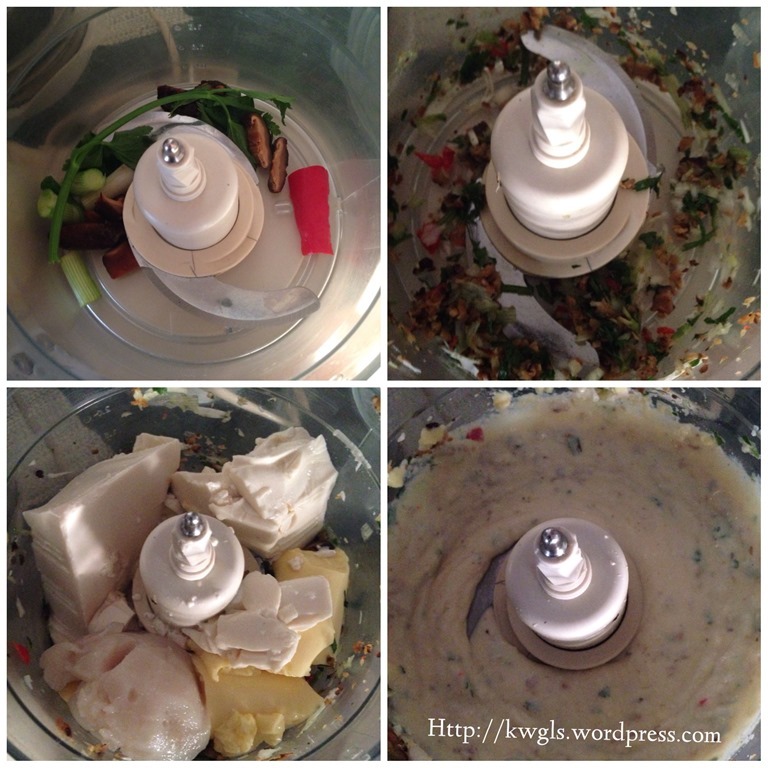 into the food processor. Blend the ingredients until very fine and transfer to the greased baking tin. Level the mixture. Cover the top with clingy wrap. Steamed under high heat for 15-20 minutes or until the seafood tofu is set. 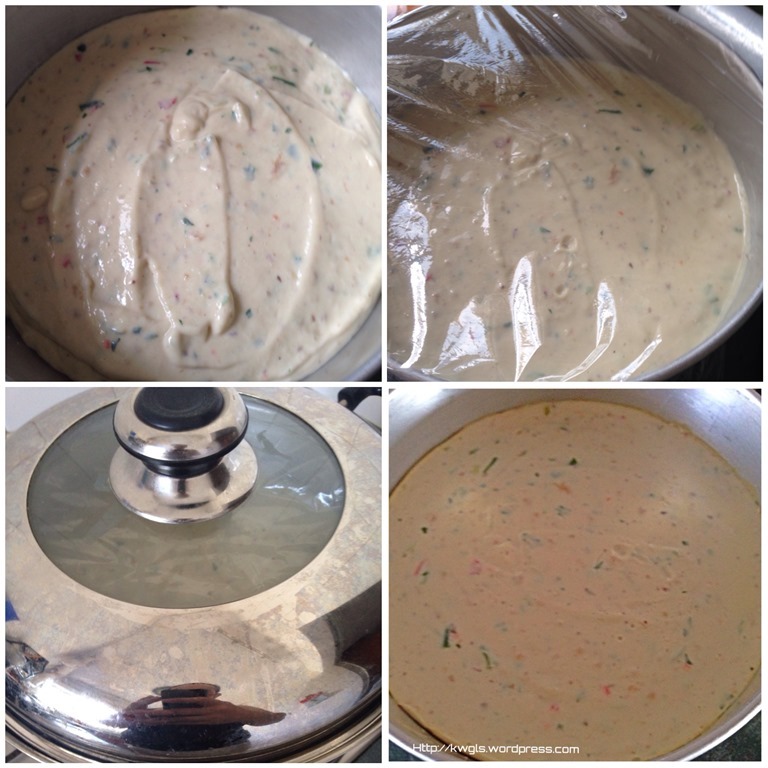 Let it cool or if you have time, chill it in the fridge for 1-2 hours. 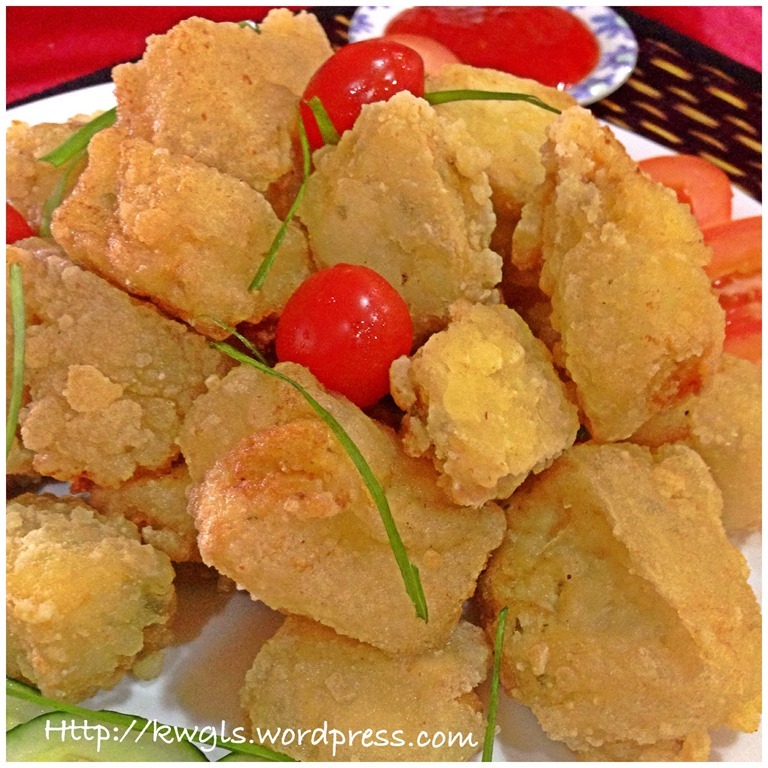 Chilling is to make the tofu slightly harder and easier to cut and handle for later deep frying. Cut the tofu into desire size. 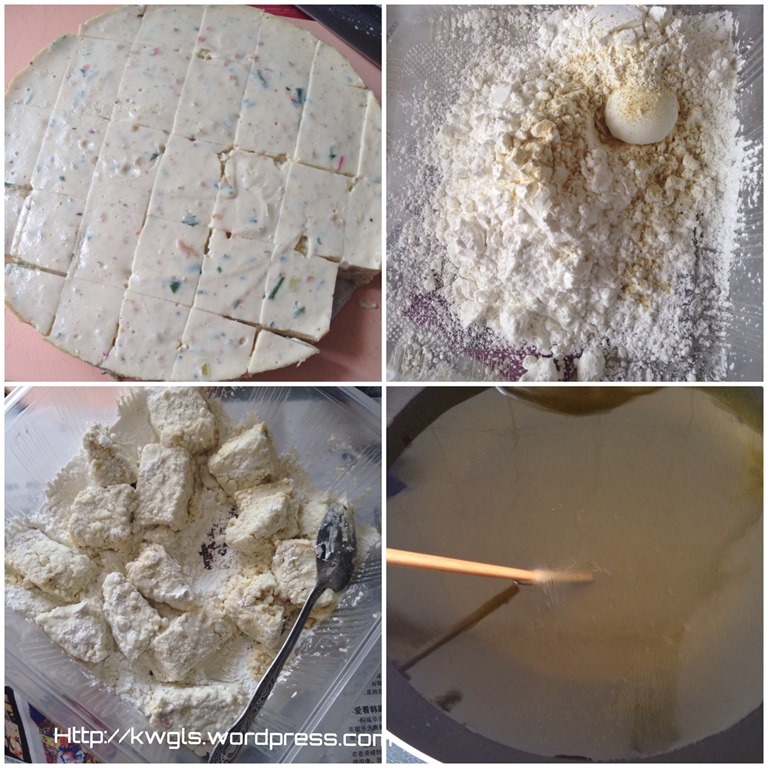 In a plastic container, put some corn flour and some rice flour in the ratio of 4:1. This basically means if you use 80 grams of corn flour, mixed with 20 grams of rice flour. You can use 100% corn flour if desired. 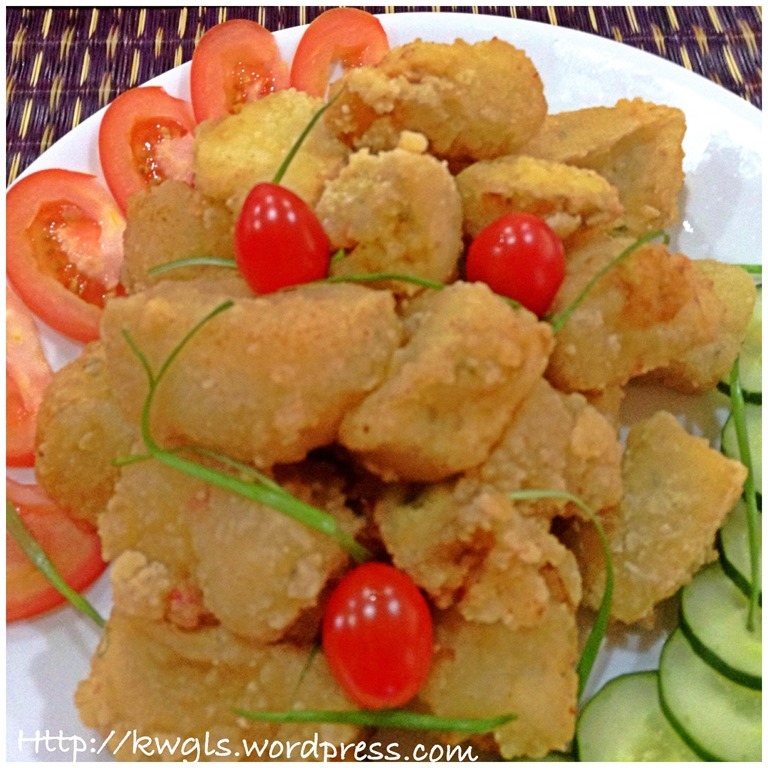 The rice flour have the ability to keep the fritters in shape when cold but it is optional. If desired, you can dust the flour with some white pepper. Coat the seafood tofu with the flour mixture as evenly as possible. 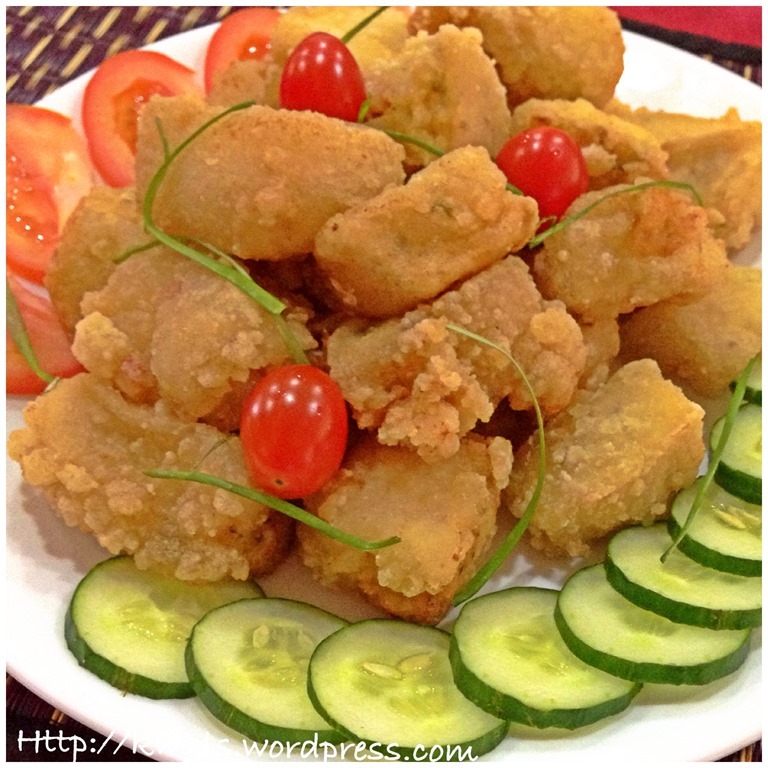 Be careful with the seafood tofu as it is soft and can break easily. In a big pan, put about 5 cm high of oil and heat the oil using high heat. Put a wooden chopstick to assess if the rice temperature is hot enough for frying. It is considered as hot enough if bubbles start to emit from the wooden chopstick. 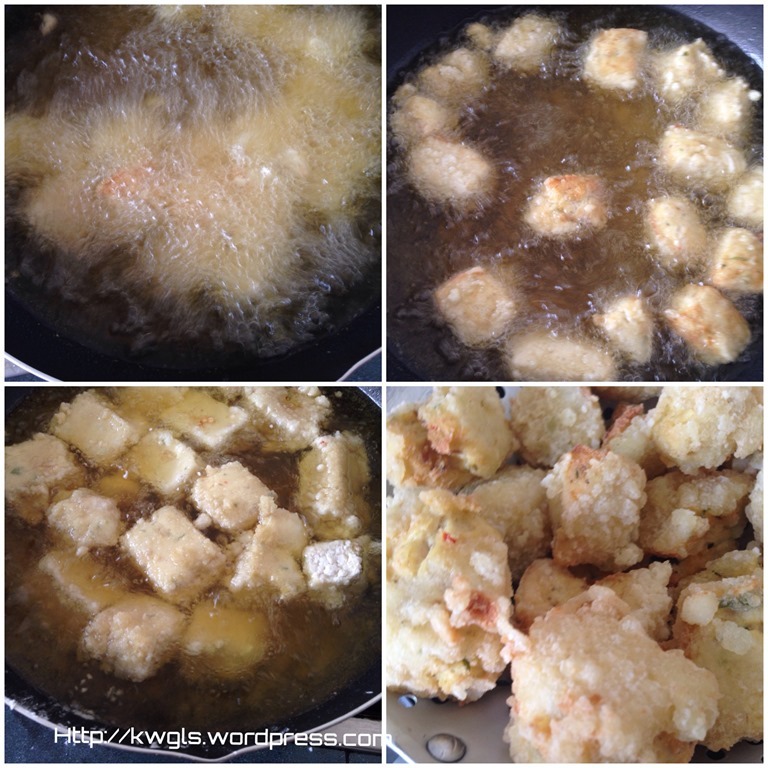 Fry the seafood tofu in the hot oil until the outside is crispy and golden brown. Take out the tofu, drained and put on a piece of oil absorbing paper in an airy area before transfer to the serving plate. Best served hot as one of the dishes for a Chinese meal. Suggested dip is Thailand sweet chilli sauce. Simple dish, nothing much to conclude. 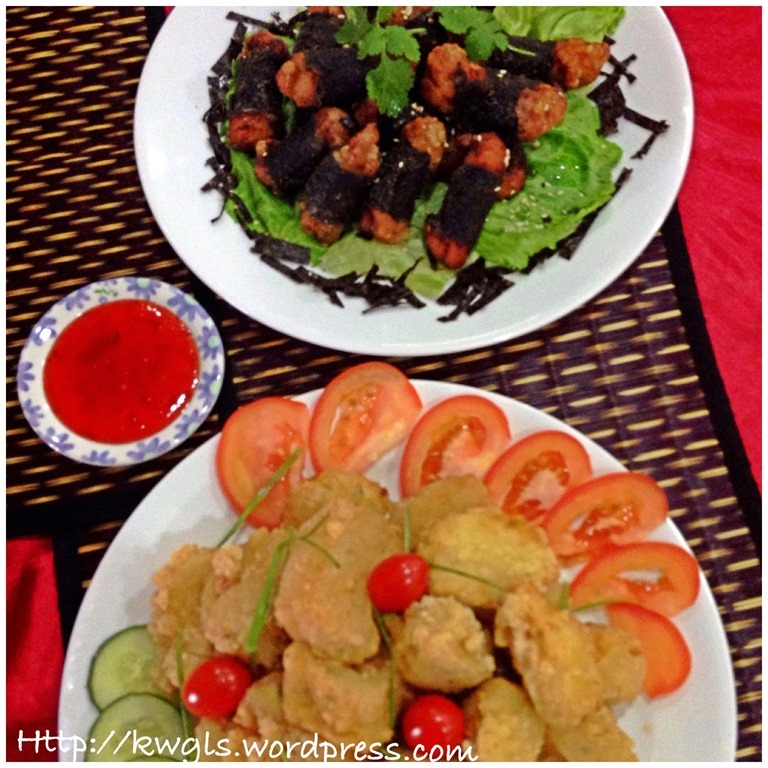 Serving guests with tofu and fish cake appeared to be a disgrace to one’s household cooking.. Well, combining the two simple, cheap ingredients and put in a bit of effort to “process” it will make it become a presentable restaurant dish …. 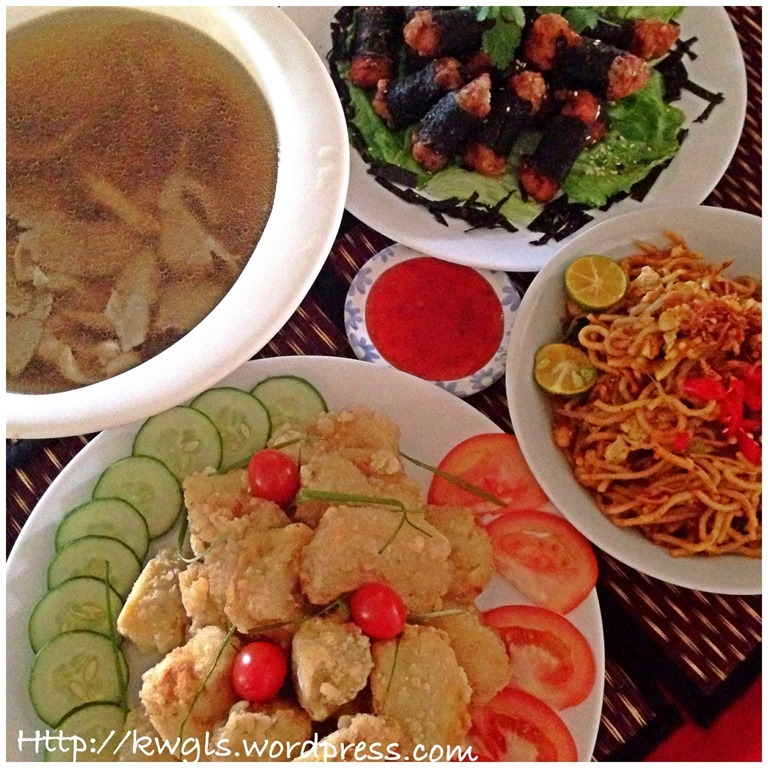 This entry was posted in Dish, Food Preparation Series and tagged 8, beancurd, Chinese dishes, fish paste, Malaysian, postaday, Seafood, seafood tofu, Tofu, TOFUS. Bookmark the permalink. Hi Kenneth! Thanks for taking part. Your fish tofu looks really good! When its deep fried, with the sauce, totally heavenly. I’d eat the whole plate! I laughed reading your tips and tricks of making this beautiful and delicious. You are right that all restaurants use “cheap” (basic lah) ingredients and they all did good jobs processing them… Nice that you are showing us how to do it at this post. This is delicious, Kenneth! 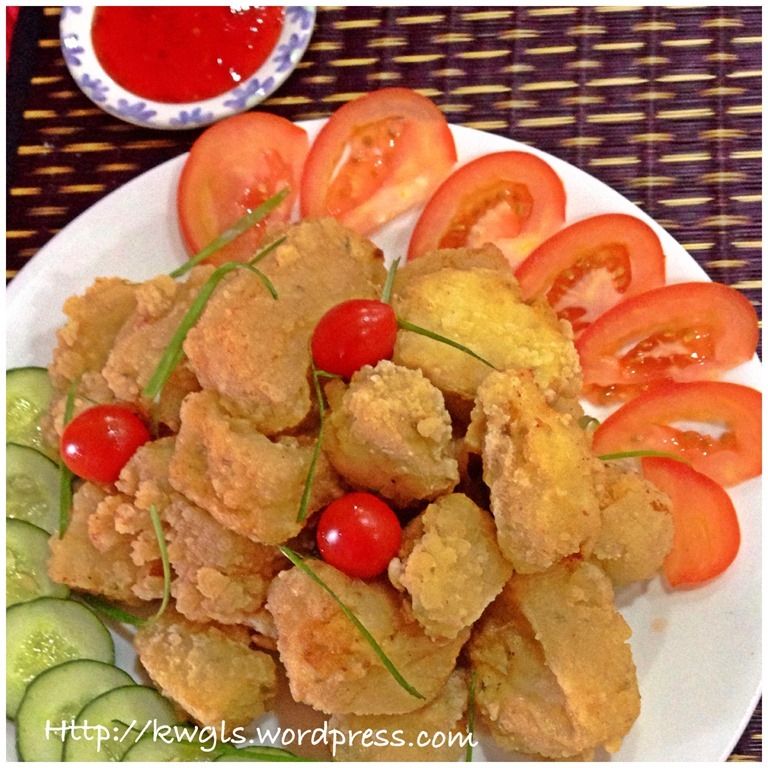 I love to order this seafood tofu at the restaurant and eat it dipped with either chilli sauce or mayonnaise. Thanks for dropping By. Phong Hong.